Digital Deep Sea has added a new innovation to their portfolio called PilotLINK. 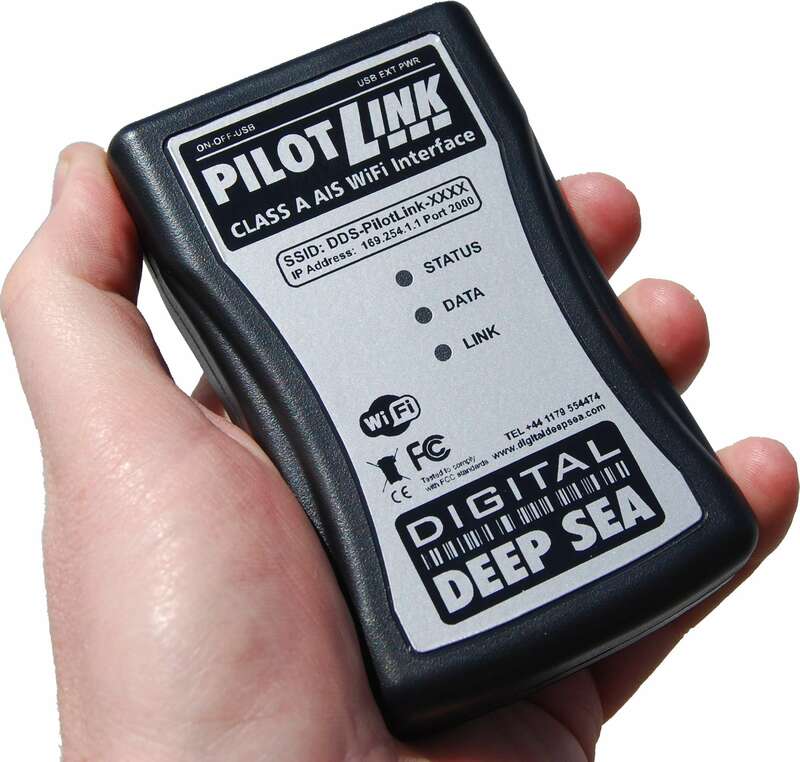 PilotLINK is a wireless interface for Class A AIS systems. It allows mobile devices such as iPhones, iPads, Android tablets and PCs to connect wirelessly to the ship’s AIS/GPS system and effectively turns the mobile device into a full function navigation product. PilotLINK has been specifically produced for use with the popular iNavX and iSailor applications which have specific functionality for maritime pilots. There are around 550 harbour pilots in the UK and ten’s thousands worldwide. Every commercial ship over 300 GRT is mandated to carry a Class A transponder and the IMO has developed a standard plug ‘n’ play interface so that pilots can connect PilotLINK directly to any Class A AIS transponder regardless of manufacturer. Pilots often want to be mobile on the bridge and even gather key navigation and AIS data when outside on the bridge wing – for instance when manoeuvring a ship. Using a mobile device like an iPad with its familiar pinch ’n’ zoom features together with its high resolution display makes for a much better navigation experience. PilotLINK is completely self-contained and fitted with an industry standard 1m interconnect cable. It operates directly from an internal 9V PP3 battery which offers around 15 hours operation or alternatively can be connected to any USB compatible external power pack. These are available from a wide variety of third party manufacturers. This USB connection can also be utilised with existing on board AC/DC outlets through a suitable adaptor allowing for just about every type of power source. PilotLINK creates a unique Wi-Fi hotspot aboard the vessel with an on board range of typically 30m so it will easily footprint the bridge area. AIS target data as well as GPS navigation information is transmitted from the Class A device and the program or app on the mobile device can tap into this data. Digital Deep Sea offer a free app called iAIS and PilotLINK can also operate with industry leading apps such as iNavX and iSailor. Class A transponders are also increasingly being fitted on larger leisure vessels and non-mandated installations such as work boats and tugs. These users can also take advantage of PilotLINK.